LACE N LEOPARD: It's Time. 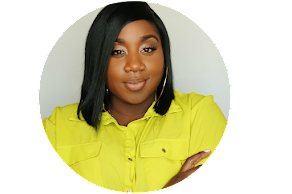 In celebration of my bloggerversary…..It’s time for a GIVEAWAY!! 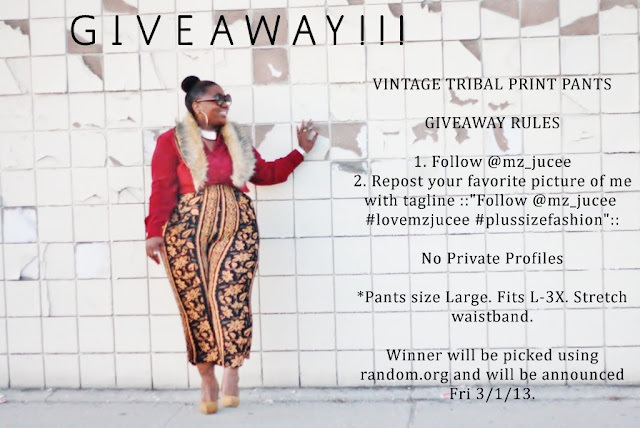 Enter for a chance to win the VINTAGE tribal pants rocked in this look! Giveaway RULES: 1. Follow @mz_jucee 2. REPOST your favorite picture of me with the tagline :: “Follow @mz_jucee #lovemzjucee #plussizefashion” :: And that’s it! Winner will be picked using random.org and announced on FRIDAY! Open to US residents only. No private profiles. *Pants are a size Large. Fits L-3X, stretch waistband. Good luck ladies!! !